Thin Mints, Caramel Delights, and Thanks- A- Lots litter Alexa Benack’s car as she sits in senior lot passing out cookie boxes to her eager peers and customers. Benack’s Girl Scout career began in elementary school as an excited third grader and today, she is a senior and one of the only two Girl Scouts in the 2019 graduating class. She always loved being a Girl Scout and all the responsibilities that came with it, but she especially loved her troop. After many years, Benack, unfortunately, had to stop participating in Girl Scouts in middle school when her troop leaders left the program and her beloved troop dismembered. For a long time, she did not join another troop due to how much she enjoyed her previous troop. 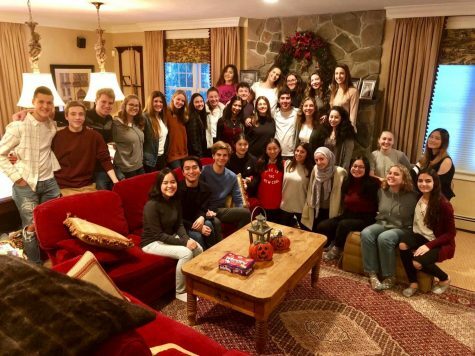 However, that would change Benack’s sophomore year when she decided to reignite that passion of hers and rejoin Girl Scouts for the remainder of her high school career. Benack’s mother, Elizabeth, has expressed that although Benack had to leave Girl Scouts early on, it truly fueled her to do more and get involved on a larger scale the second time around. 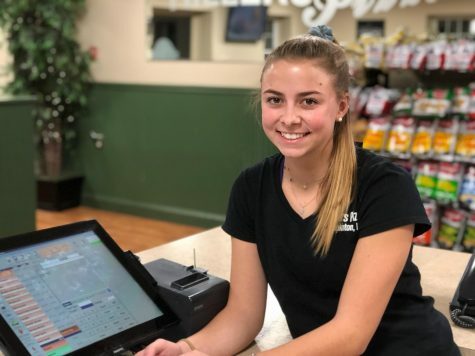 “She was very sad to end in middle school because she had been with the same troop since she was a Daisy in pre-K. Alexa loves volunteering and she felt a void. When she had the opportunity to rejoin as a junior, she was happy. She started volunteering more with the Girl Scouts through activities like the Food drive for Project Just Because. She was also able to join in on encampment again working with younger scouts,” Benack’s mother said. As a Girl Scout, Benack and her troop participate and organize a variety of service projects in and around the community. 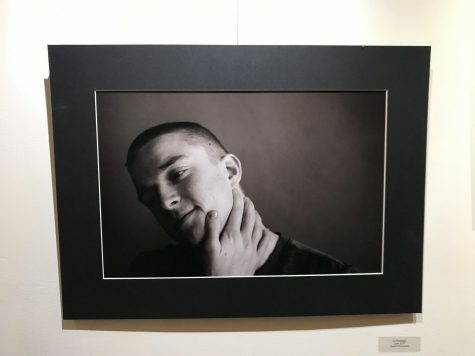 “Generally we take a bigger topic to focus on … for example, in middle school we did a project for our bronze award which is really important and we ended up working with a home of people involved with the Respite Center,” Benack said. Benack and her troop helped the Respite Center with yard work, preparing meals, and even hosting parties for the house members. 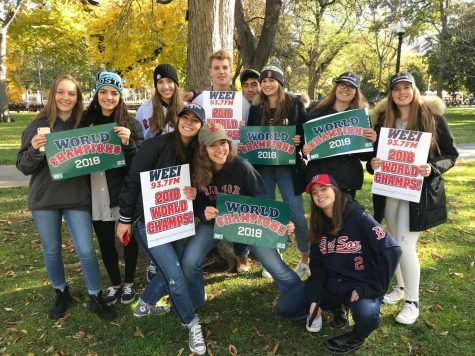 “We definitely wanted to bring some of the excitement over from the Respite Center because they were independently living and we wanted to help them out with both necessary things and fun things for them to do,” Benack said. Benack and her troop also work a lot with the younger troops through encampment, which she describes as a program similar to sleepaway camp that is meant to help the girls with their leadership skills through team building activities. 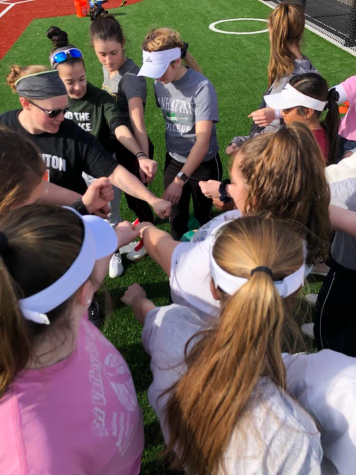 “For the past two years, we have been fortunate enough to help organize that and do activities with the younger girls as well as lead some more intense activities with the ropes course and stuff like that,” said Benack. Cookies are also a very important part of Girl Scouts according to Benack. 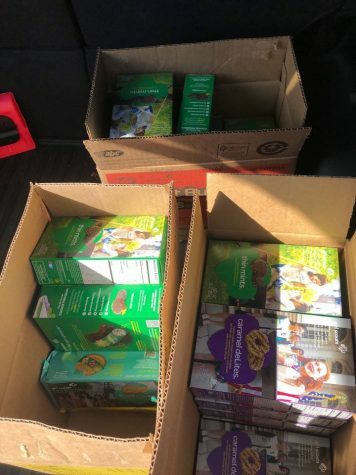 For every box of cookies a girl scout sells the troop gets ⅕ of the proceeds. This money goes to funding activities for the girls and it allows them to have funds to go to different places and see new things, such as their recent trip to the New England Aquarium in Boston. A close friend of Benack’s, Sarina Panagiotopoulos, has noted Benack’s diligence and success in her fundraising, specifically with Girl Scout cookies. “Each year she does her best to fundraise as much as she can. 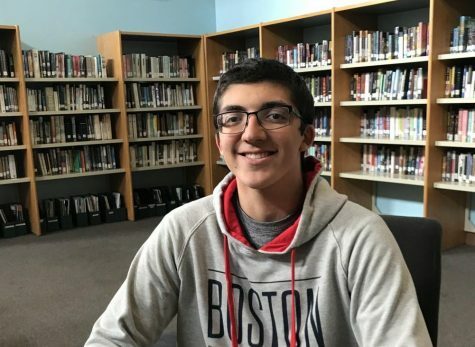 Many kids would shy away from reaching out to peers about something like this but Alexa goes full force and even messaged in our class group chat to sell cookies and get the word out,” Panagiotopoulos said. 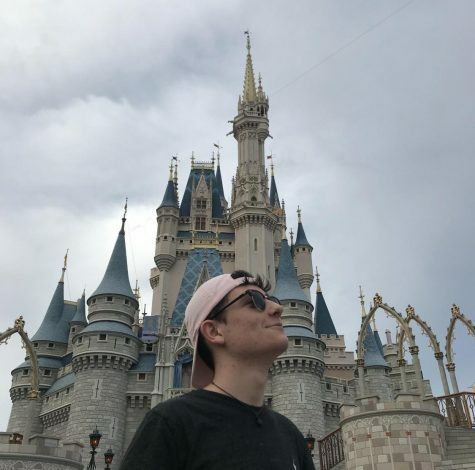 “It’s challenging to make people think that it’s legitimate, especially as you get older because people tend to think you’re doing it for college and stuff like that, but no, I genuinely enjoy it,” Benack said. To Benack, being a Girl Scout is much more than just cookies. She feels that being a Girl Scout is about being a leader for younger girls everywhere. She puts a high emphasis on women empowering other women and that is the main reason she participates and loves the program Girl Scouts has. “A lot of times there are different scenarios when kids have family issues or confidence issues, and I think Girl Scouts is a really great way for women to empower each other especially since it is a girls-only organization, so you can definitely focus in on what these girls want and need, all while having fun,” Benack said. Kate Wilson, Benack’s fellow senior Girl Scout, describes her as someone who always wants to help and lead others in her community. “I’d say Alexa is very hard working and always eager to find something new and different that we can do in Girl Scouts. She is always looking for more ways to help others,” Wilson said. Alexa’s friends and family describe her as patient, responsible, and respectful above all else. She is diligent and driven in all she does, but she is cautious of the opinions and feelings of others. These qualities have allowed her to be the effective and encouraging Girl Scout role model she has become to the younger troops. “Alexa has become a mentor to the younger girls at encampment. 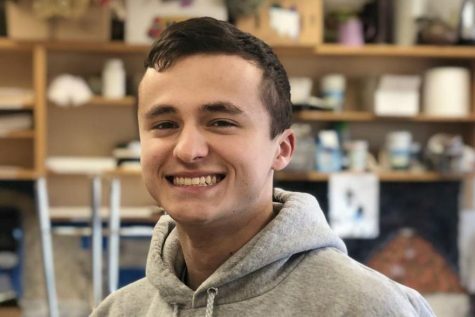 An adjective to describe Alexa would be respect–others may have different viewpoints, but she will hear a different viewpoint and take it under advisement,” Benack’s mother said . In her spare time outside of Girl Scouts, Benack participates in a variety of activities. Her main hobby is singing. Benack sang in the school chorus from 4th grade up to her sophomore year of high school, when she had to stop due to scheduling conflicts. Now to continue her love for music, she takes weekly voice lessons and has joined the Worcester Children’s Chorus which she has been a part of for two years. Another big part of Benack’s life is being a counselor at camp Burgess and Hayward during the summer. Being a counselor is a big reason why Girl Scouts is great for Benack, her skills in leadership are able to transfer over effectively to her camp and she can utilize these skills in a real-life setting with her kids. “It’s a really similar situation because it’s a girls-only camp… a lot of our values are the same and align with Girl Scouts and that’s really great because I am able to carry over different skills to the kids,” Benack said. 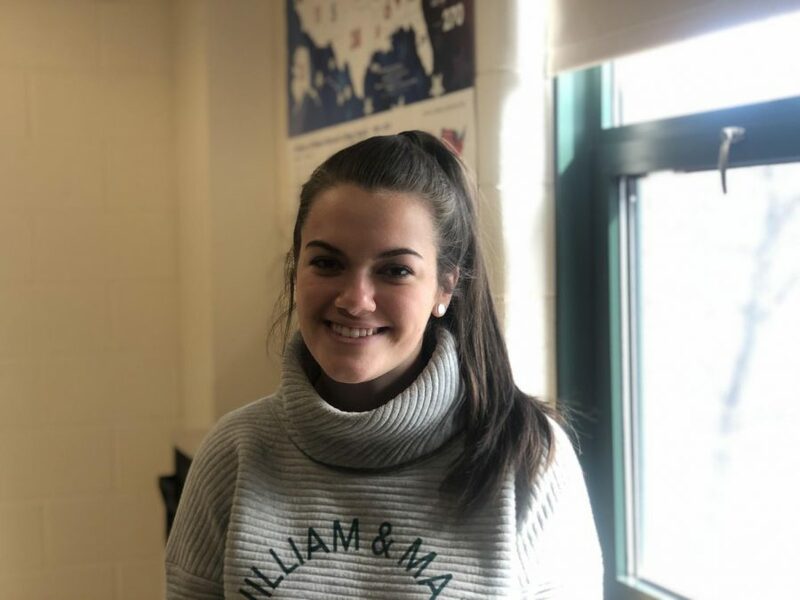 Benack will be attending William and Mary University next year and hopes to continue her work with Girl Scouts in her coming college years and beyond. “Once you become an adult in girl scouts you become an ambassador for the program as opposed to being a Girl Scout and selling cookies,” Benack said. 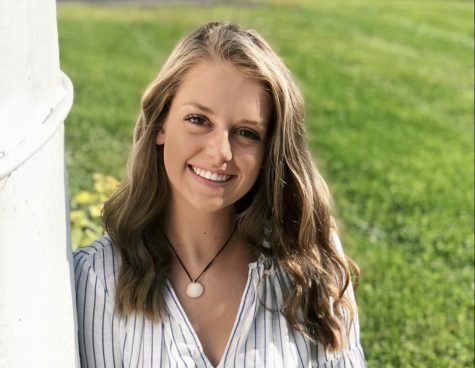 Alongside Girl Scouts, Benack hopes to be involved in service clubs and activities on campus, and she hopes to join a sorority to get involved in the many opportunities for leadership and other fundraisers they have.